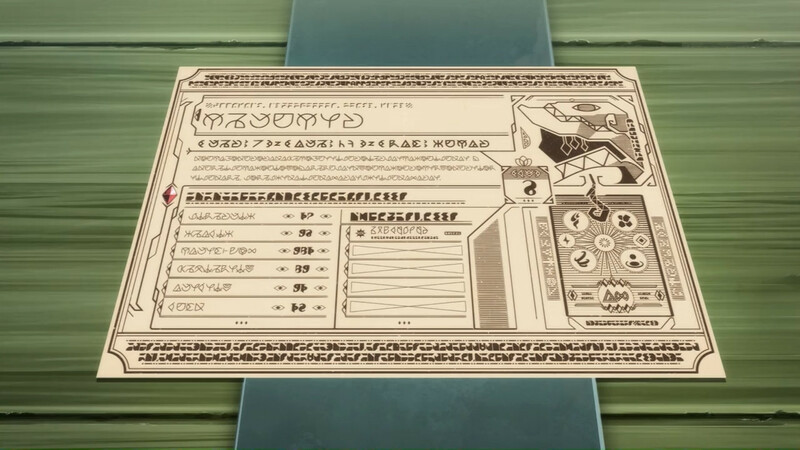 Is there a complete translation of the "letters" used in the world of Konosuba? I'm talking like the ones seen on their adventurer cards. 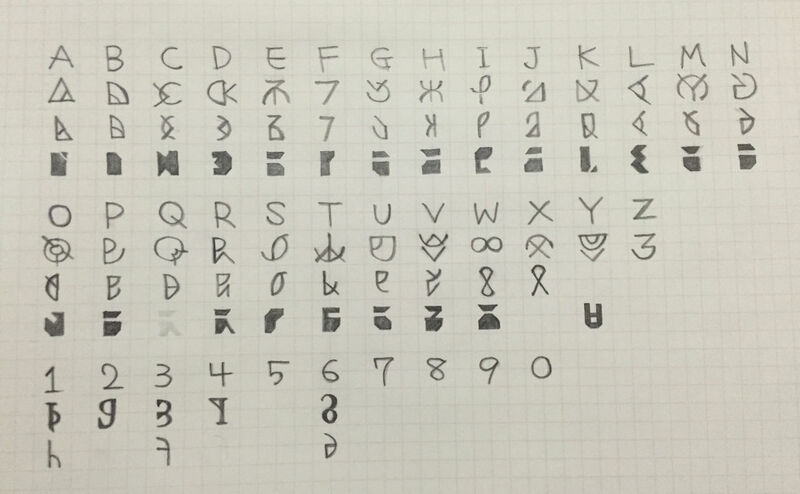 I'm positive each symbol corresponds to a letter of the English alphabet, but I want the complete list of them if possible? Someone somewhere may have put together a more complete version; this version is from just after episode 3 or 4, and more sourcetext became available as the show went on. Which may seem like gibberish, but in (somewhat typo-laden) Japanese, it's Megumin babbling about EXPLOSION. Roughly, "A wunderkind magician, even moreso than the average Crimson Demon. She is enraptured by the mightiest of magicks: EXPLOSION. She won't use any other magic, and plus - she can't." This particular text is cobbled together from various bits of copy about her character, as far as I know. Is the Konosuba anime a close adaptation of the light novel? Which LN volumes are covered in season 1&2 of “Konosuba” anime?